Local hoteliers and restaurant owners attended the first evening showcase event yesterday at Naturally Conwy Produce Market. Naturally Conwy hosted the event as part of an , and attendees had the opportunity to talk to local suppliers about their produce and taste high quality food and drink. 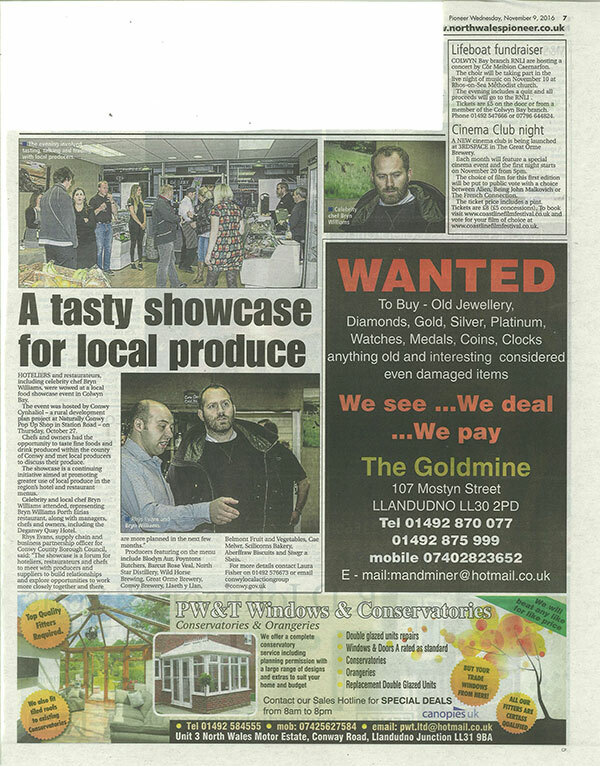 The showcase event highlighted the high quality of local food produced in Conwy by local producers to the area’s business owners, and it was a great oportunity for enabling closer ties between business owners and producers.